This device is basically the StackMatch without the ability to do any switching of antennas. 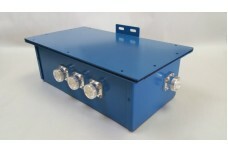 It is a fixed transformer device in a die-cast aluminum weather resistant case. It will provide phasing to two or three 50 ohm antennas without the ability to switch the stack like the standard StackMatch product. They can be combined to allow stacks of 2,3,5,6,and 9 antennas. It comes in 2 or 3 antenna ports with SO-239 connectors as standard. N-type or 7/16DIN connectors can be installed as an option. It has the same specifications as the standard StackMatch and can be used on 6 meters. Allows user to steer take-off angles (StackMatch only) of the stack as well as double beam in two or three directions. Stacking antennas adds considerable GAIN and cleans up the pattern. Two Feed line Option allows a second radio to utilize 1 beam in a stack of beams when needed. Have a look at the StackMatch user's guide, or the StackMatch for Verticals user's guide. They answer many questions about how to hook them up, and how they work. SO-239 to N-type connector change option for StackMatch..
Four Directions Vertical Antenna Array Controller for 20 m. Four Square relay box. ..
Four Directions Vertical Antenna Array Controller for 160 m. Four Square relay box. 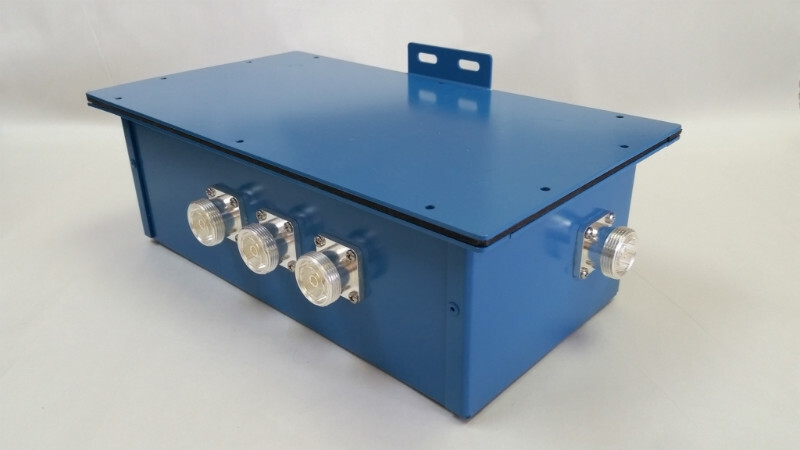 ..
Four Directions Vertical Antenna Array Controller for 7 MHz (40 m band). Four Square relay bo..